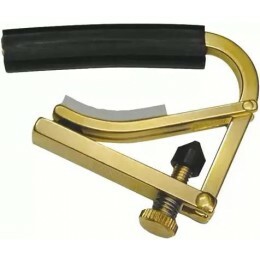 The Jim Dunlop Acoustic Curved Trigger Capo 83CN Nickel is curved for acoustic and electric guitars and can be easily moved up and down the neck. 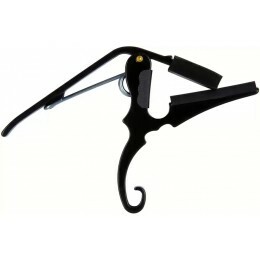 The Jim Dunlop Acoustic Curved Trigger Capo 83CB Black is curved for acoustic and electric guitars and can be easily moved up and down the neck. 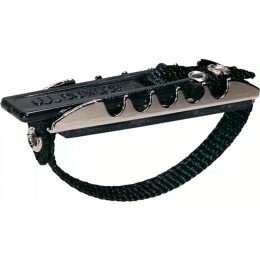 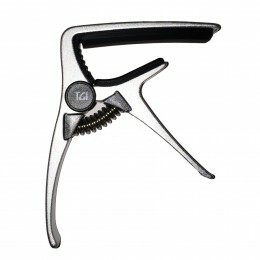 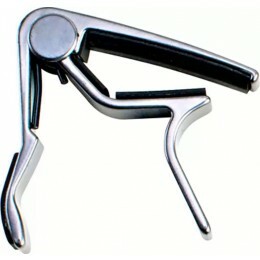 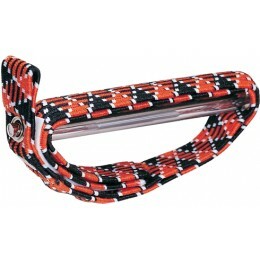 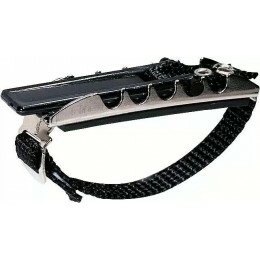 A Guitar Capo can be simple buckle like device to heavy duty sprung clamps. 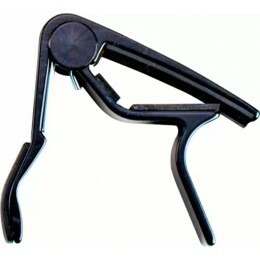 A guitar Capo allows you to play open chords further up the neck of the guitar.